Mercedes-Benz Canada is pleased to announce that Mr. Norman Hébert and the Groupe Park Avenue automobile consortium have acquired the Silver Star Mercedes-Benz Montreal franchise. “We are happy to welcome Norman to the Mercedes-Benz Canada dealer network. Norman and his team benefit from an enviable reputation in the Montreal automotive market and we are convinced that they will continue to delight our well-established clientele. We also wish to thank Mr. Sam Eltes for his unwavering passion and commitment to the Mercedes-Benz brand over the span of a few decades. His legacy is in safe hands,” said Gareth T. Joyce, President and CEO of Mercedes-Benz Canada. Mercedes-Benz Silver Star has been owned and operated since its inception in 1991 by Sam Eltes, a prominent figure of the Greater Montreal business community. Now, more than 25 years later, Mr. Eltes has turned to Norman Hébert, President and CEO of Groupe Park Avenue, to foster the business’ continuity plan. The company will be managed by Mr. Rob Girouard, current General Manager and Vice-President of Silver Star Mercedes-Benz, and Mr. Jeff Budning, current Vice-President, Finance. Both have taken a financial stake into the dealership. The various departments will maintain their current management infrastructure. “The news was welcomed by the entire team and I am sure that Groupe Park Avenue and Silver Star Montreal will be able to grow well together by combining their respective strengths and applying the best practices of both entities,” said Rob Girouard. Mercedes-Benz Canada is responsible for the sales, marketing and service of the Mercedes-Benz and AMG passenger vehicles, Mercedes-Benz Vans and smart. Headquartered in Toronto, Ontario, Mercedes-Benz Canada Inc. employs approximately 1,500 people in 21 locations across Canada. 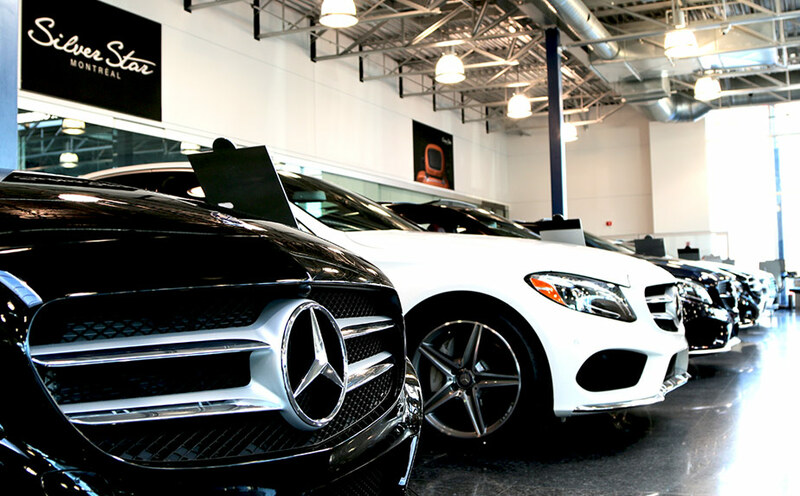 Through a nationwide network of 11 Mercedes-Benz owned retail operations and 46 authorized dealerships, Mercedes-Benz Canada sold 44,526 vehicles in 2015. This represents the best year ever for the company and has positioned Mercedes-Benz as the top luxury manufacturer in Canada for the second consecutive year. From left to right: Mr. Rob Girouard, General Manager and Vice-President, Mr. Jeff Budning, Vice-President of Finances, and Norman Hébert, President and CEO at Groupe Park Avenue.